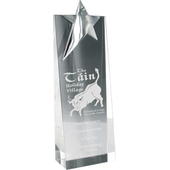 This all purpose award, by Cuchulainn Crystal, is made of high quality crystal, ideal for any corporate or sporting event. It is also an ideal customised gift for any occasion. 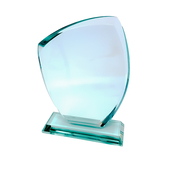 This award comes nestled in a satin lined box and is available for engravings.